IRG Sports + Entertainment™ (IRG) and the International Hot Rod Association™ (IHRA) are pleased to welcome a new management team and renewed sanction agreement for Lancaster National Speedway and Dragway. 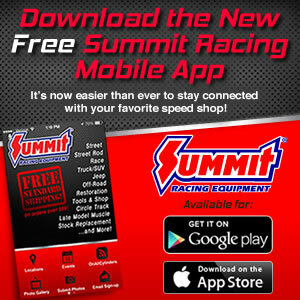 The partnership with the facility, formerly known as Elegant Builders Raceway Park, solidifies the racers' opportunity to be part of the Summit Super Series and Team Finals while fighting to become a National Champion. "We are looking forward to remaining under the IHRA banner," said Lancaster National Speedway & Dragway General Manager Melissa McGowan. "Their weekly racing program is a great fit for our teams and drivers." The long standing member track will remain a member of IHRA's North Stars Division (Division 3) and will once again send a team to the Summit Racing Equipment Team Finals presented by Amsoil at Pittsburgh Raceway Park in early October. "The Team Finals is one of the best parts of being an IHRA member track," said Dragway Race Director Sharon Hughes, "Lancaster drivers do a fantastic job representing the track and show great team spirit." The 2015 season at Lancaster will be run under a new management team with a new vision. Melissa McGowan was named General Manager in December and quickly went to work setting forth plans to rebuild the track's image. Long time Dragway official and former racer, Sharon Hughes, has been named the race director for the drag racing program. Both women will lead the charge in reinvigorating and restoring support for Lancaster's historic 1/8-mile drag strip. For more information the IHRA facility, visit www.lancasternationalspeedway.com. And for a complete list of IHRA member tracks, visit www.ihra.com.